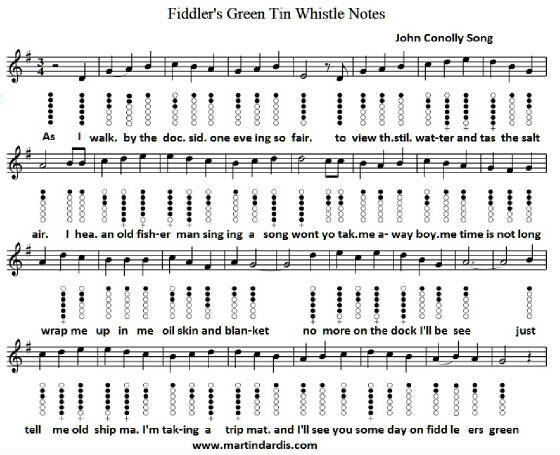 Fiddlers Green Sheet Music And Tin Whistle Notes In The Key Of G and C Major- the abc music notes are included below. Written by John Conolly. The first piece is probable the easiest to play. 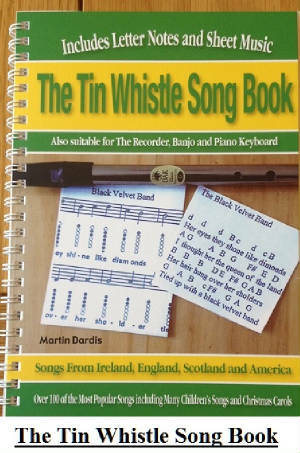 When I was working it out I was playing a D whistle and it sounded fine. The version below goes slightly higher.